This festival features DJs, live performances, ‘blocos,’ gastronomy, and child-friendly attractions over four days and nights. 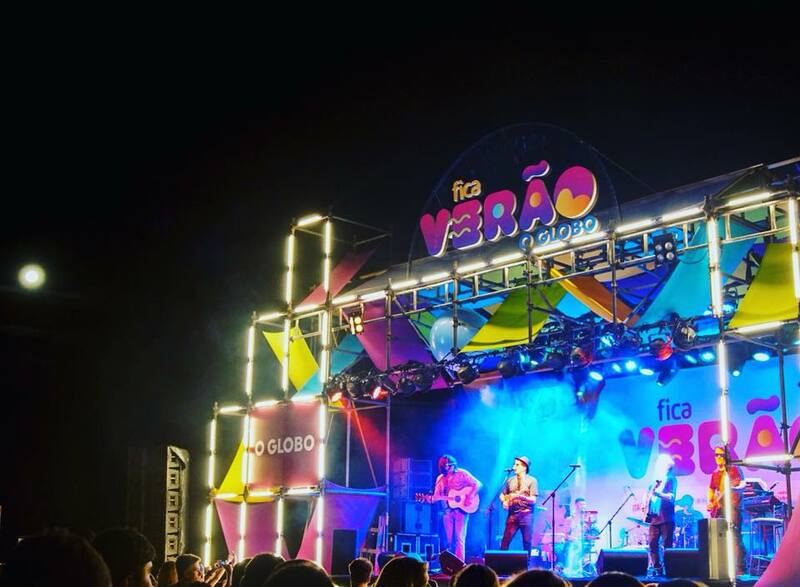 RIO DE JANEIRO, BRAZIL – O Globo’s annual end-of-summer festival Fica Verão (Stay, Summer) lands at Morro da Urca (Urca Hill) this Thursday, kickstarting four days of live music and Carnival festivities at one of Rio’s most stunning locations. Marina da Glória and Ipanema beach have hosted the event. Photo: internet reproduction. Tonight, Fica Verão kicks off with Duda Beat – fresh out of Lollapalooza Brasil – and famous Carnival bloco Amigos da Onça. Brazilian singer Silva, who recently collaborated with superstar Anitta, will cap off the night. On Friday, attractions include the carioca band Biltre, Bloco Fogo e Paixão (with iconic Brazilian singer Gretchen as their special guest), and forró queen Elba Ramalho. Saturday starts early, at 3 pm, and goes until late, with concerts by Tais Alvarenga, the danceable indie-rock quartet Whipallas, the samba group DDP Diretoria, and Bloco das Gaúchas. On Sunday, the Belo Horizonte rock band Daparte will be playing original material as well as covers of The Beatles, Oasis, and Clube da Esquina. They will be followed by the band Gilsons (integrated by sons of Brazilian music royalty Gilberto Gil) and a traditional roda de samba (samba circle) led by Arlindo Domingos Da Cruz Neto. While taking in the views from Morro da Urca, festival goers will be able to sample tapiocas from Tapi Bike, Mexican food from El Cozu, and desserts from Brownie Bistrô. When: Thursday, April 11th, to Sunday, April 14th; times vary.